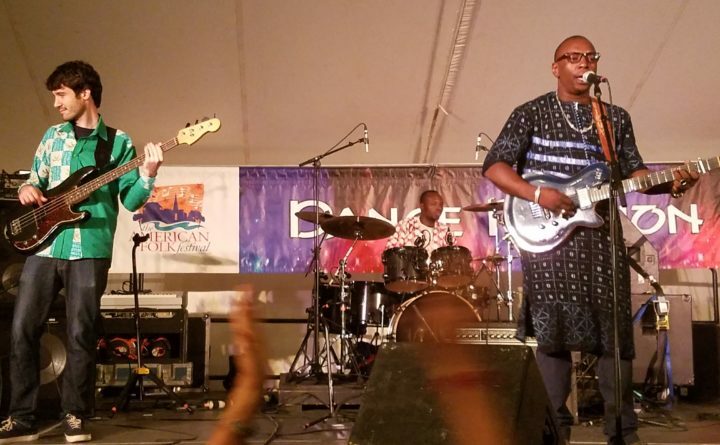 Vieux Farka Toure performs at the 2018 American Folk Festival. 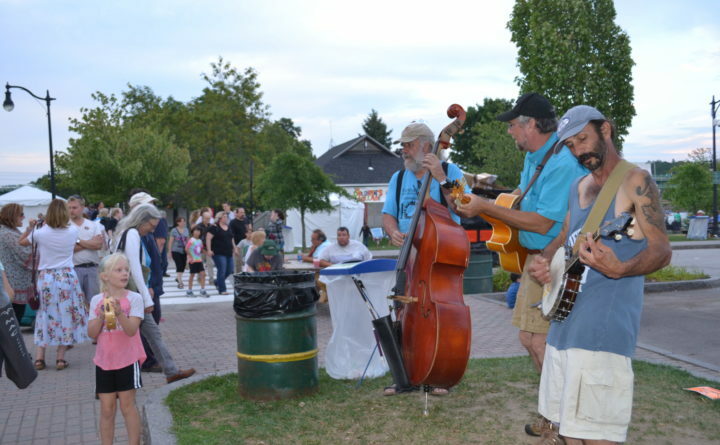 Buskers perform bluegrass at the 2018 American Folk Festival. A behind the scenes look at some of the many food vendors at the 2018 American Folk Festival. If there’s one thing the organizers of the American Folk Festival pray for each year, it’s good weather for the three days of the festival. For 2018, they certainly got that, with balmy daytime temperatures on all three days leading into cool, moonlit nights along the Penobscot River. Accordingly, attendance was robust, with especially lively crowds in the late afternoon and early evening on Saturday. As usual, attendees came from a large radius around Bangor, with a few traveling from as far away as Canada to check out the music. Farka Toure, the son of legendary Malian guitarist Ali Farka Toure, is a pioneer in his own right, blending spellbinding African fingerstyle guitar with blues, rock and reggae. He’s also worked with popular American musicians including Dave Matthews and Derek Trucks. He closed out the Saturday night schedule at the Dance Pavilion, after an energetic and dance floor-filling set from Orquesta El Macabeo, a Puerto Rican salsa dura band. 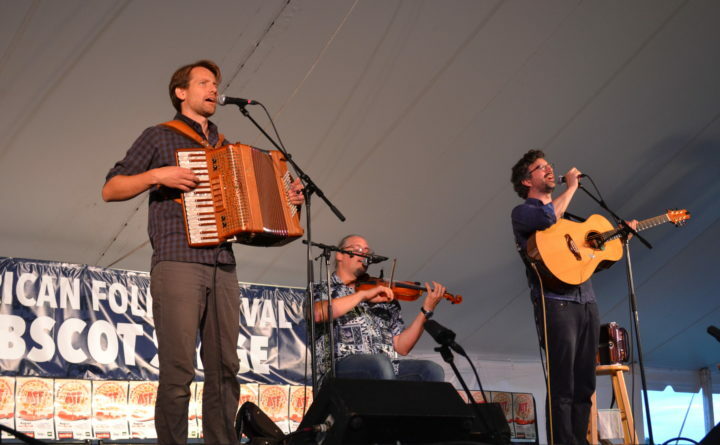 Other favorites over the weekend were the lively, engaging sets from Genticorum, a Quebecois trio who last played the American Folk Festival in 2008, which is where founding members Yann Falquet and Pascal Gemme originally met current accordian player Nicholas Williams for the first time. Genticorum also played a popular contradance at the Dance Pavilion on Saturday afternoon, led by Lewiston-based caller Cindy Larock. Saturday night closed out with a searing set from blues singer Annika Chambers, who performed a cover of “Natural Woman” in tribute to Aretha Franklin, who passed away last week. There were a number of new food vendors at the festival this year, including Wanderlunch, who served up avocado fries and tempura asparagus; a burgers and hot dogs booth manned by Penobscot Community Health Care, to benefit Bangor homeless shelter the Hope House; and Jumbo Donuts, which served up almost comically enormous, fluffy doughnuts in several flavors. 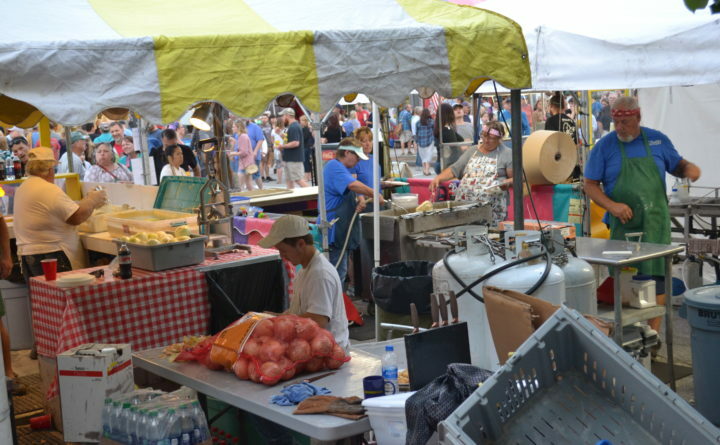 Notably missing from the food lineup was St. George’s Greek Orthodox Church, the Bangor-based congregation that has from day one of the festival served up gyros, souvlaki and other Greek treats, as well as a cheerful “Opa!” with nearly every item served. According to a member of the church, a lack of volunteers this year resulted in St. George’s being unable to staff their booth.